The Sacramento Works, Inc. Board is a 25-member volunteer board of directors that is charged with providing policy, planning and oversight for local workforce development initiatives. Sacramento Works unites business, labor, education and public agencies to assure qualified and trained workers are available to meet the needs of the region’s economy. The majority representation on this 25-member board is business and industry. Other sectors represented on the Sacramento Works, Inc. board include Labor/Workforce, Education/Training, Government and Economic/Community Development, and Other. Representatives of the Business Sector, shall constitute a majority of the membership of the Board and are to be owners of business concerns, chief executives or chief operating officers of non-governmental employers, or other private sector executives who have substantial management or policy responsibility. Business Sector representatives shall be selected from nominations made by general-purpose business organizations. Education/Training representatives shall be selected from nominations made by local educational agencies, vocational education institutions, or institutions of higher education. General organizations of such agencies or institutions, institutions of higher education, or general organizations of such agencies or institutions can also nominate an education representative. Private and proprietary schools or general organizations of such schools, within the City and County of Sacramento are also eligible to have representation on the Sacramento Works, Inc. board. Individuals wishing to apply for membership need to contact one of these entities and request a letter of recommendation. At least 20% Labor representatives are recommended by recognized State and local labor organizations or appropriate building trades councils. Must include: (i) 1 representative of economic and community development entities; (ii) 1 representative of Wagner-Peyser programs; (iii) 1 representative of Vocational Rehabilitation programs; (iv) and may include representatives of agencies or entities administering programs serving the local area relating to transportation, housing, and public assistance; (v) and may include representatives of philanthropic organizations. May include such other individuals or representative of entities as the chief elected official in the local area determines to be appropriate. Letters of recommendation for individuals shall come from organizations that represent these sectors. 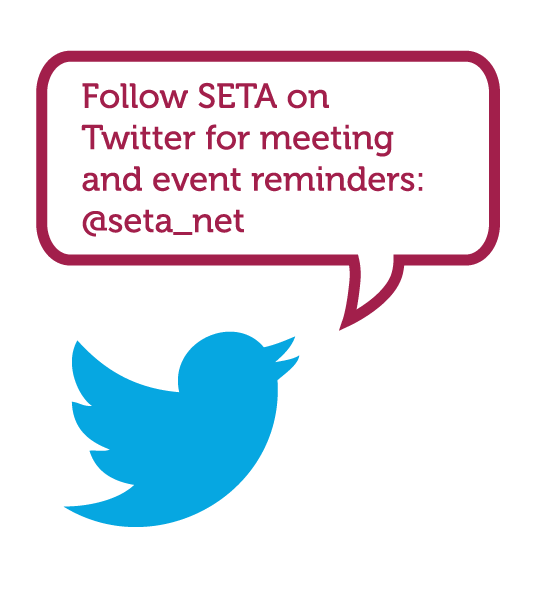 All meetings are held in the SETA Board Room located at 925 Del Paso Blvd., Suite 100, Sacramento, CA 95815, 8:00 a.m.